A ScotRail pay dispute which has forced the cancellation of dozens of trains appears to have been finally settled, The Scotsman has learned. An improved offer to some 3,500 train conductors and other staff is likely to see the Rail, Maritime and Transport union (RMT) end its ban on overtime and working on days off. However, the deal will not see an immediate end to cancellations caused by "shortage of train crew" because ScotRail is still routinely scrapping services in a desperate attempt to train staff in time to run extra trains from Sunday. The RMT action had been overwhelmingly backed in a ballot in September in protest at ScotRail staff being paid less than train drivers for working on "rest days". However, a letter signed by ScotRail and RMT officials seen by The Scotsman shows union members have now been offered an extra three hours' pay for working on their days off. ScotRail is understood to have previously offered an extra two hours' pay. The train operator has already pledged to create an extra 140 "front line" jobs to reduce the need for rest-day working and cover extra services being introduced over the next year. Forty of these posts are to address "concerns of better work life balance and fatigue". The letter, signed by ScotRail operations director David Simpson, said it was the firm's "best and final offer". It was also signed by RMT Scottish organiser Mick Hogg and co-ordinator Jim Gray. The agreement would run until next April, when it is expected to be incorporated in next year's pay negotiations. The RMT has said its members were paid between £112 and £140 for working on rest days compared to £300 for drivers. 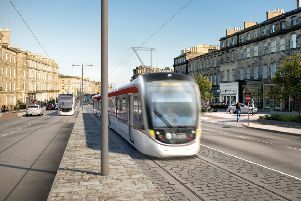 Mr Simpson said: “I am pleased an agreement has been reached with RMT to resolve the union’s rest day working dispute with us. Mr Hogg said: "The offer we have from ScotRail meets my members aspirations. "What is disappointing is we virtually had to drag ScotRail to the negotiating table. "The bottom line was that strength in numbers and pure determination won the day and forced ScotRail's hand. "ScotRail prides itself on being the best railway Scotland has ever had. "As far as the RMT is concerned, [it has] the worst Industrial relations we have ever experienced."